For some, a vacation is a respite from work, unplugging from routine and powering down. For others, vacation time is an opportunity for activity and exploration. 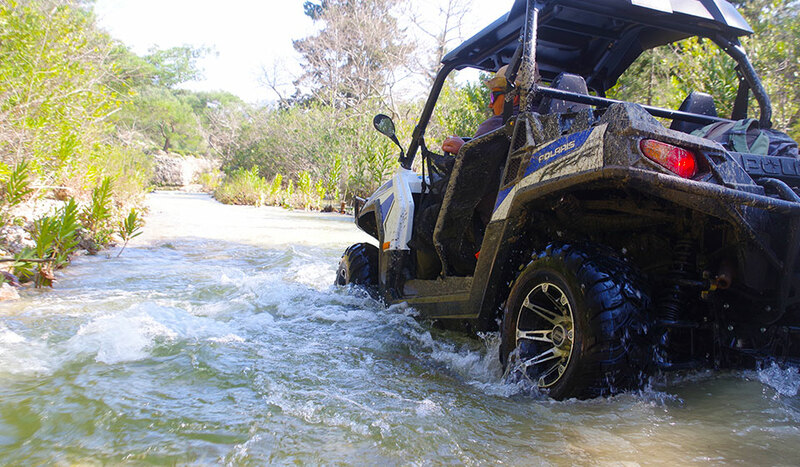 Rhodes Adventures’ Polaris Experience provides the ultimate off-road trip with our Polaris RZR. Adults and Children: 70 euros p.p. Price includes VAT 24%, gasoline, insurance, public liability, pick up from the hotel, honey tasting and wine tasting. 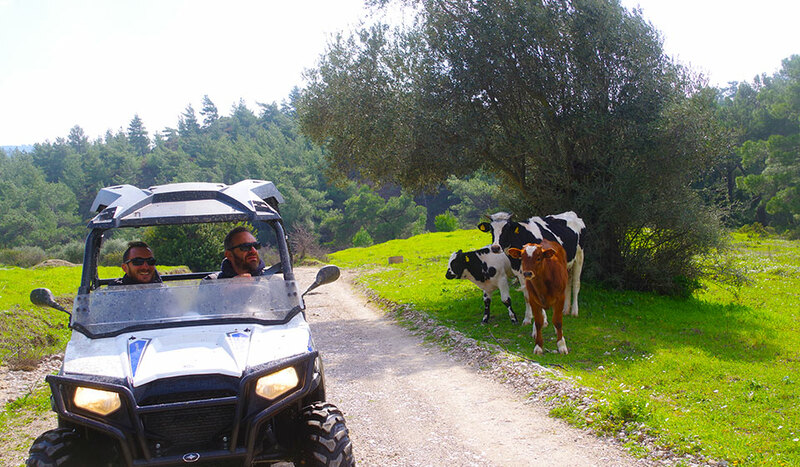 Rhodes Adventure is the only supplier on the island of Rhodes offering the unique and completely original ‘Polaris Experience’ as a tour. 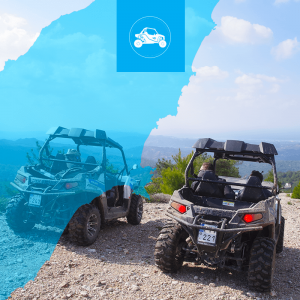 Consisting of a playful off-road experience within the beautiful Rhodian hidden tracks, this tour optimizes the amazing viewpoints on the island and is complimented with a tasting stop. The duration of the tour is 4 hours and will run twice a day. To be eligible to drive, our guests need to have their driving license for a minimum of 2 years and be a minimum of 21 years of age. 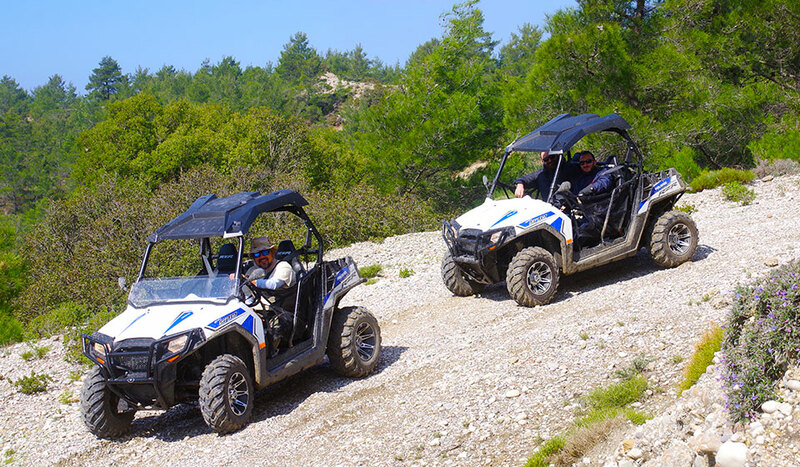 The ‘Polaris Experience’ begins at a pre-determined location near the village of Theologos. Here we introduce ourselves and outline the safety guidelines as well as the day’s program. 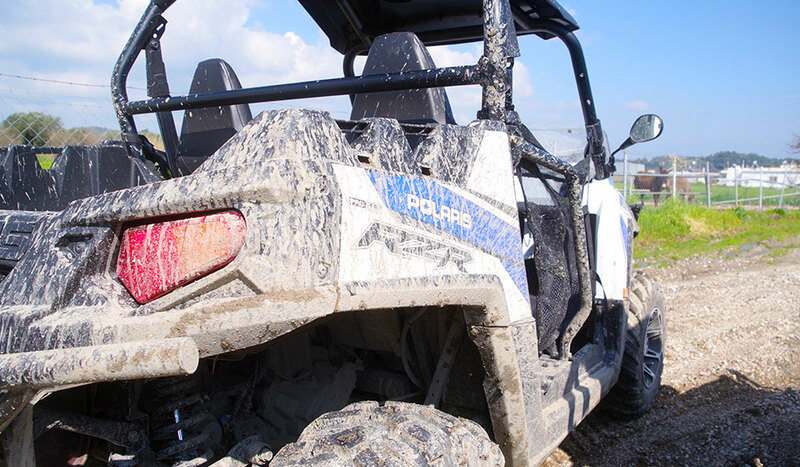 Once everyone is set, we head out for our tour with the brand-new Polaris RZR - 570cc. 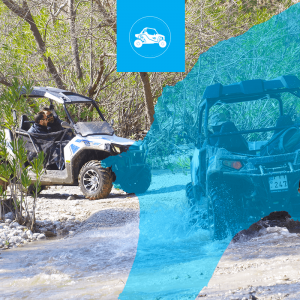 The perfect off-road vehicle for 2 people! 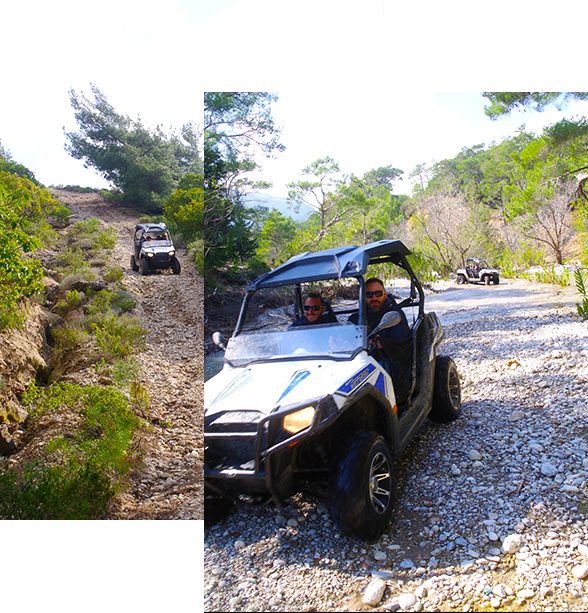 We will drive through the mountains, pass small villages, enjoy nature and have lots of fun. The tour includes transfer from and to the hotel, local products tasting, fruits & snacks. 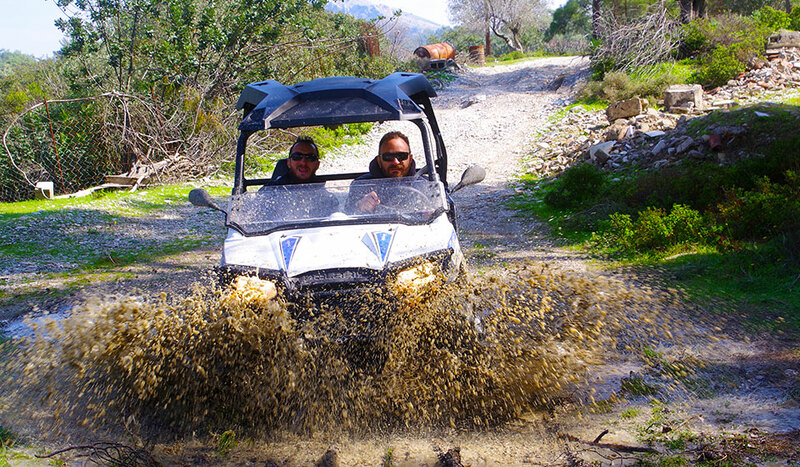 We will start our tour with a thrilling drive through beaten tracks reaching Eleousa Square. From there we will continue to Archipoli where we will taste local varieties of honey and other delicious products such as souma, olive oil, local sweets and fresh seasonal fruits. 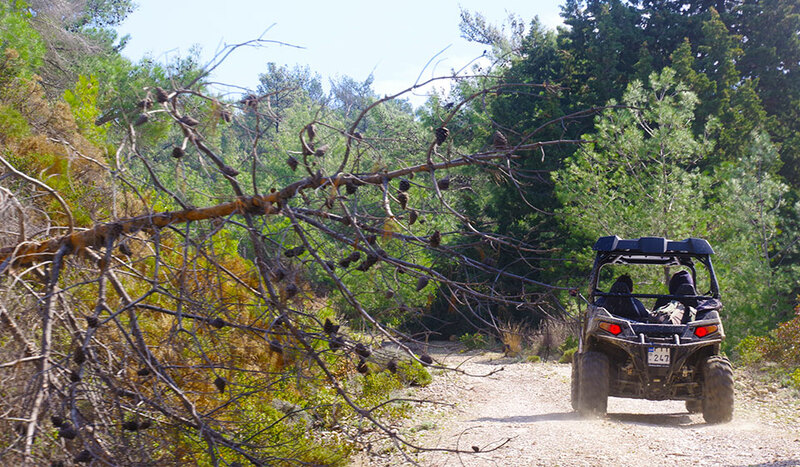 Experience the ‘Oregano’ path as we continue off-road to Psinthos. A little further and we stop at the viewpoint where the majority of the West coast and the famous Butterfly Valley can be absorbed from above. The last off road of the day will bring us to Fanes village. The perfect short stop for a refreshing dive in the Aegean Sea before heading back towards Theologos to end our unique tour. is the maximum altitutte someone can reach in Rhodes Safari!